Four new vehicles of the Valladolid municipal fleet were presented in Plaza Mayor (Valladolid) on July 19th 2016. They are two new extended-range hybrid buses and two fully electric cars purchased within the framework of sustainable mobility actions from the REMOURBAN project. Electric Vehicles - How Clean are Electric Vehicles? The two new extended-range hybrid buses are equipped with 100% electric traction and an on board electric energy storage system (ESS). Their engine provides high energy efficiency, low polluting emissions and high safety and drive comfort. Both buses are also an opportunity for citizens to see a “real demo” of environmentally friendly vehicle operating in a scenario of urban traffic, with frequent stops and passengers getting on-and-off the vehicles. The buses’ system foresees a maximum of 8 minutes charges through the two recharging infrastructures (pantographs) at the start and the end of the travel. 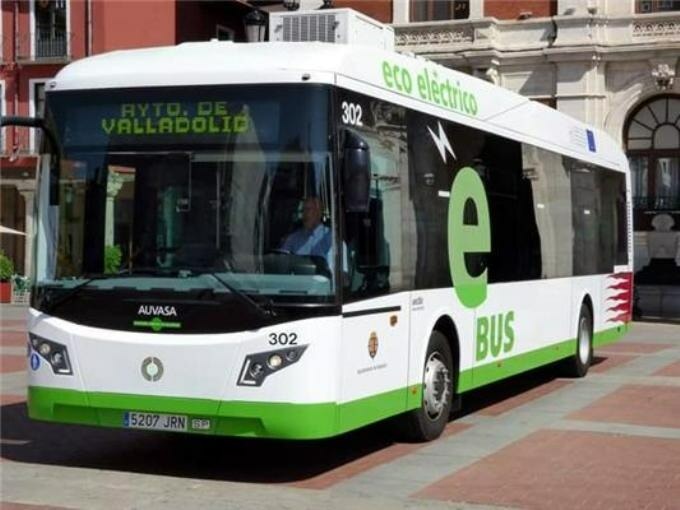 Three extra buses with the same technical features will be purchased by the city of Valladolid in the near future and the full fleet of ER-Hybrid buses will be monitored by the REMOURBAN project through an onboard device recording and transmitting data from the vehicle. The monitored parameters will be consumption, battery level, heating, regenerated energy under braking, etc. as well as some external sensors to measure nitrogen oxide, temperature and humidity.